Rhode Island Broadcasters Association (RIBA) is comprised of members from both Television and Radio stations that serve the Southern New England area. An association dedicated to promoting diversity and following the tenets of democracy, its Board of Directors lead with a spirit of unity in their mission to raise awareness of issues in need of a voice, using the power of broadcasting. Register to receive TEXT ALERTS here. Schools, day cares, Health Services and Businesses. Stay informed by receiving text alerts for school delays & closings or parking bans. To sign up for alerts, visit the website of our member stations. See our Station List page. The conference will take place on February 26 and 27, 2019. Businesses and Schools can now contact one organization to report closings, cancellations, and other announcements due to inclement weather OR emergency messaging. RIBA will forward the message immediately to our members stations. If your business or organization is non-profit your fee will be waived. Contact us via email with your information at LNeedham@ribroadcasters.com or phone 401-255-8200. 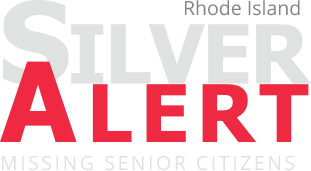 A Silver Alert is a public notification system in the United States to broadcast information about missing persons – especially senior citizens with Alzheimer's disease, dementia or other mental disabilities – in order to aid in their return. 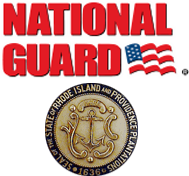 The Rhode Island National Guard traces its history from the first colonial defensive force established in 1638. On May 13, 1638, the “Traine Band” was formed in Portsmouth, RI. This group of “freemen as a militia subject to call and expected to perform certain military duties in the protection of the people,” was the humble beginnings of the state’s military forces. Help a child in foster care find hope and stability.